Recently, we celebrated Pink-Out Day at our school – an October day dedicated for wearing pink to honor and to support the fight against breast cancer. In addition to wearing pink, the kids contributed their spare change as a donation to our local cancer center. It was a blessing to walk amongst a sea of pink that day and to soberly reflect on its significance in my own journey of survivorship. 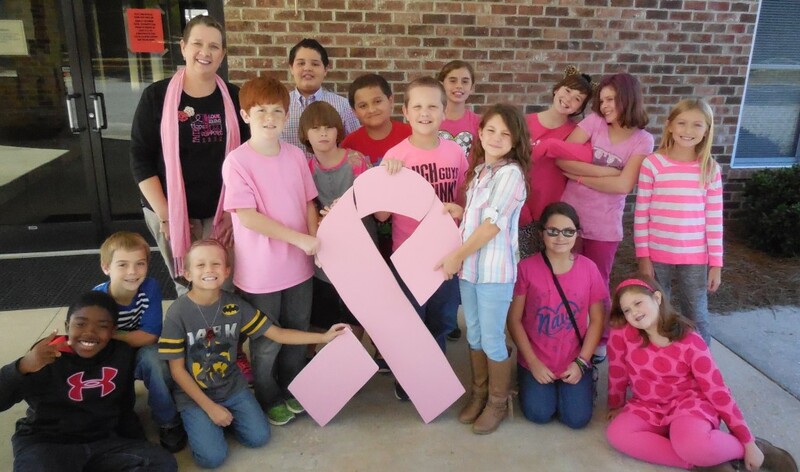 My classroom started our Pink-Out Day as we begin all of our days – in the Word of God. I’ve been telling them their story of faith – the history of their people, the Patriarchs. Rich have been our morning discussions of Abraham, Isaac, and Jacob. My students are learning a lot, perhaps retaining more biblical knowledge at the tender age of ten than most of the world’s population. It’s a good thing to glean head knowledge. It’s an even better thing when that knowledge works its way down into the heart where it can lodge for a season, perhaps eternally. So when one of my students showed evidence of that movement on that particular morning, I was delighted and humbled to lead her to that place of greater understanding. The backdrop for our discussion was Jacob’s great wrestling match with God at Peniel which, ultimately, led to God changing his name from Jacob to Israel (meaning “God rules”). Her question interrupted my train of thought and led me down an unplanned path. Tenderly, I knelt at her desk and allowed myself to be vulnerable, transparent at a level usually reserved for adults. My words resonated with some … mostly with her. My hope is that, years from now, when those night wrestlings arrive for each of my students, they will remember Jacob’s night, maybe even some of my story so that they might emerge in the morning with a new name, a fresh hope, and a holy reminder that “God rules.” God is not disengaged from our lives, friends; God is engaged with us, willing to split the night sky (if need be) to walk upon this earthen sod, take us to the mat, and wrench our hips with an everlasting reminder that he is God. His thoughts are not always our own, and his ways aren’t always the ones we’d prefer. But his presence in the midst of getting us to where we need to go … who we need to be? Well, Jacob-Israel would probably tell you a limp is a small price to pay to learn this one lesson of eternal significance. I would voice the same. God rules. Yesterday. Today. Forever. God rules. We cannot always see his hand in the story. On those days, perhaps, all we really need to see is our personal scars, to lift up our shirts and boldly behold the truth of just how far we’ve come. In our scars, we can trace God’s hand, we can glimpse his grace, and we can know that we’ve been held through the night in his merciful and loving grip. In honor of breast cancer awareness month, my publisher is hosting a give-away of four copies of my book, Beyond the Scars. For an opportunity to win a copy, head over to NyreePress and register your thoughts in comment section of the blog entry. As always, if you or a loved one is journeying through the difficult season named Cancer, I pray that my words will serve as a strong encouragement to you.